part of my story from the season 2 episode, The Canterlot Wedding pt.1, at the end of part where Twilight was disowned by her brother and her friends. This is where Purple appeared. She comfort Twilight singing the B.B.F.F. reprise song and told her she knows where the real Cadence is. 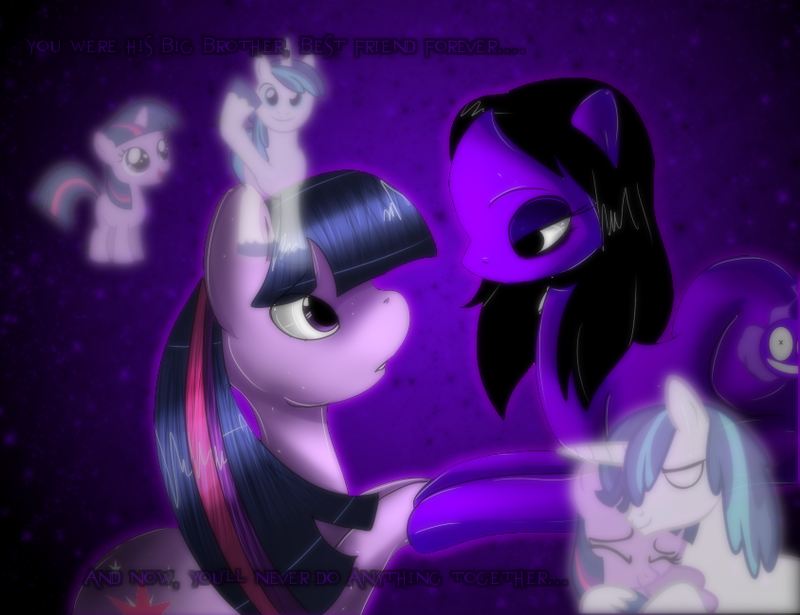 Enough, though Purple only doing this because she felt bad for Twilight.